Mister Rogers arrives with two glass bottles which he adds to his bottle organ. Using varying amounts of liquid in the bottles, Mister Rogers creates a musical instrument on his kitchen table. Once the bottles are in place, Mister Rogers plays I Like to Take My Time and then goes to the piano to compare the sounds between the bottles and the piano. Francois Clemmons and John Butler stop by with recordings of various animal sounds as well as a film featuring Mr. Clemmons and sound by Mr. Butler. 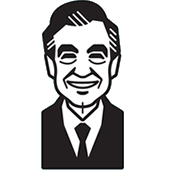 A portion of the video features Mister Rogers learning how an organ works. In the Neighborhood of Make-Believe, Lady Elaine has set up a series of pipes to draw syrup from X's tree to her Museum-Go-Round. Handyman Negri and X remind Lady Elaine that his tree is an oak tree which produces no syrup. Chef Brockett and King Friday help Lady Elaine to remember that she used to use brown sugar syrup when she was a child. Back at the house, Mister Rogers listens to some more sounds recorded by Mr. Butler before playing Tree Tree Tree on his bottle organ. As Mister Rogers listens to the recordings made by Mr. Butler, the sound of a cow can be heard. Mister Rogers suggests that this cow belongs to the McFeely's and is named Harriett -- likely a reference to to the cow shared by the McFeelys in Episode 1274. © 1974, 1975 Family Communications, Inc.